All cave divers have to show proof of a certification of at least Intro-to-Cave Diver or equivalent. As in all my diving activities, I will evaluate the diver on the first days and choose the dive sites accordingly. We don’t do check-dives in recreational diving here, which is in my opinion unfortunate, but in cave diving, the first diving day will have a focus on the procedures here with regard of communication, line following procedures, emergency procedures, propulsion, trim and positioning. There is no need that I teach a certified cave diver how to cave dive, but you may not have been diving in halocline, you are unaware of the fragility of the flowstone formations and the complexity of navigation. Because this is what makes diving in our caves so special, unique in the world and this place famous for, I will be happy to share my knowledge and introduce you into this wonderful and magic world. We start daily from Playa del Carmen and I can pick you up on our way south as we will find many of the cave systems in that direction. We drive between 20 min and normally not more than 1 ½ hours but this depends of course also how easily accessible the cave is. Our caves feature a huge variety of different dives. We can just stick to a mainline (if you are a Cave 1 or Intro-to-Cave diver) or make complex navigation. 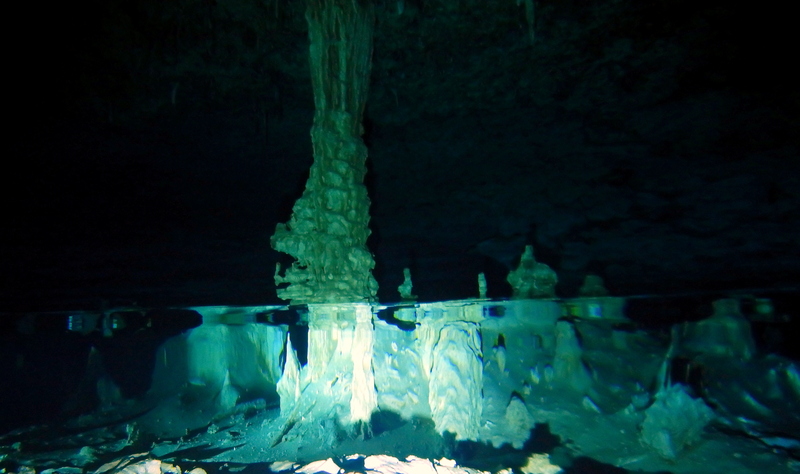 We dive in backmount or sidemount which is not only great in caves that are smaller and/or more fragile and delicate. We can offer use of stages, different gases (most times we will not need anything else than air or EANx32). Many cave divers get their feed-back from friends and even for first-timers, many already have heard of some of the caves here. Adrianna’s Room, Chinese Garden, Blue Abyss, Cuza-Nah Loop are among those frequently requested. But this is only the start and there is always and for everybody at least one place where you have not yet been.